A New Perception On Mindful. Redbull has been taking strides to reduce their carbon footprint. All cans are 100% recyclable: once they’ve been collected and reached the recycling facilities, not the tiniest bit of aluminum is lost. Using reclaimed aluminum comprises a 95% saving in energy compared to using new aluminum. Today, Red Bull cans weigh significantly less than some years ago. The constant decrease in weight also makes a difference: the less aluminum goes into cans in the first place, the smaller the carbon footprint. 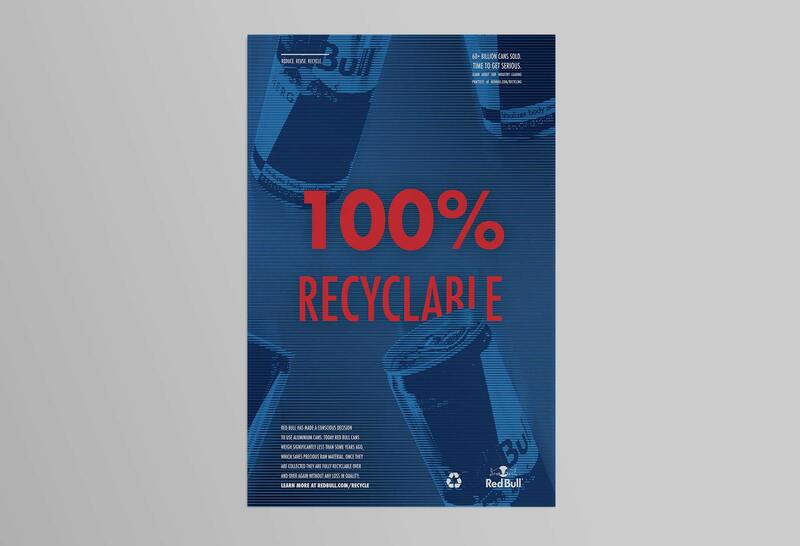 Redbull needs to educate their users and the industry at large about their strides in reducing their carbon footprint. People feel empowered when they choose products that support and acknowledge issues that they find important. 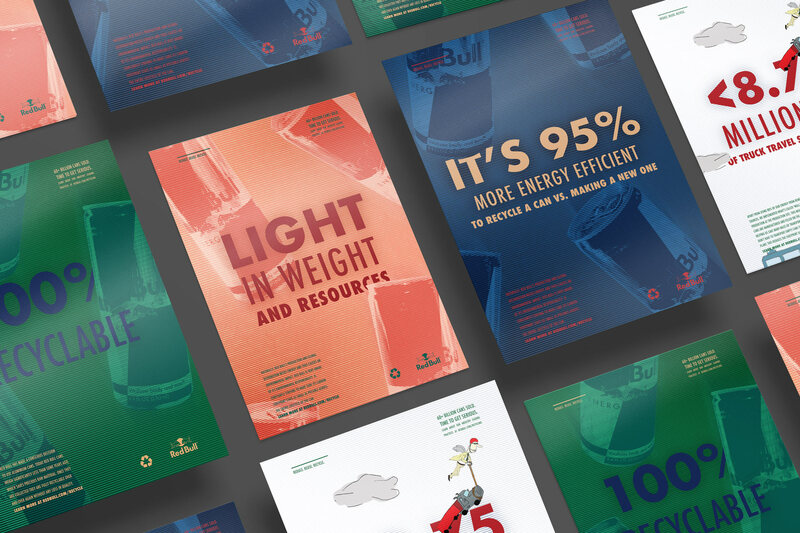 And while Redbull clearly isn't making these changes for profit, there is currently no strong messaging sharing the work they've done, and the difference it has made. 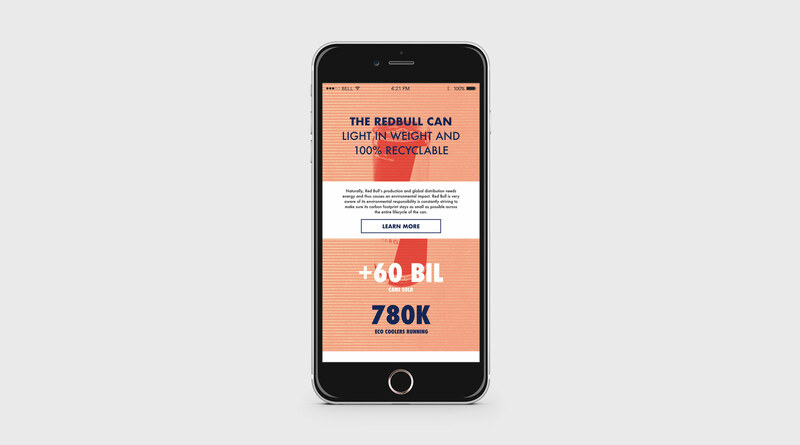 To support communication between the brand its users, the proposed campaign purely focuses on the story of Redbull’s mission. Hand drawn illustrations stayed on brand, while halftone graphics were introduced to create a clear distinction from preexisting brand collateral. Posters and billboards were also developed to further support the message. 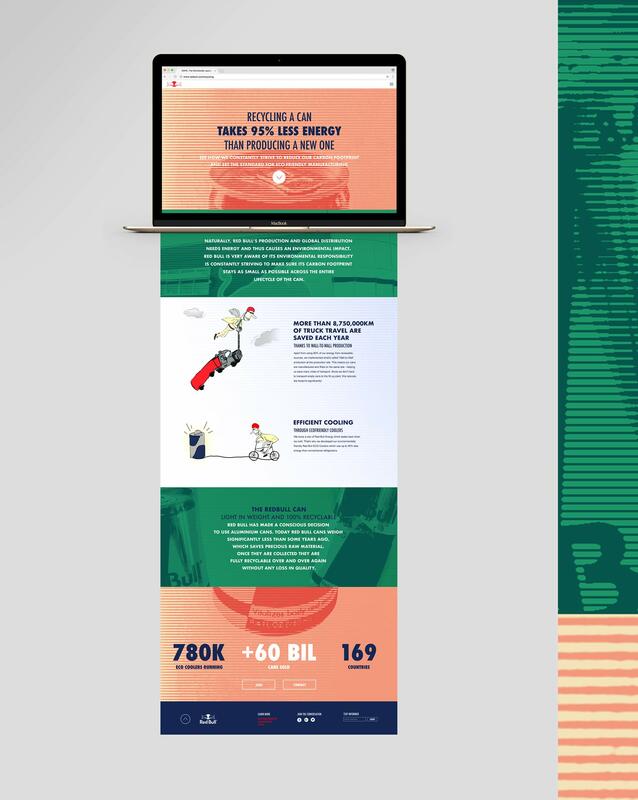 The landing page distinguishes itself from other Redbull pages, and emphasizes their commitment to producing better cans and ways they're reducing their carbon footprint. They continue to make strides towards more responsible production, and while people are taking notice, that's the last reason they’re doing it.